A great option for touring with some nice to have features such as a twin waist, hood and comfortable neoprene wrist seals. 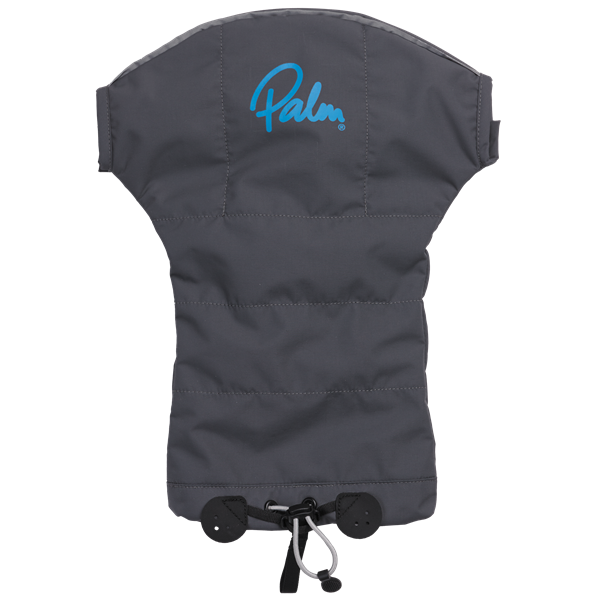 The Palm Arcadia jacket for women is a great option for inland touring all year round, with some nice to have features such as a twin waist, hood and comfortable neoprene wrist seals. Made from Palm's waterproof and breathable mid weight XP 2.5 layer fabric using a womens specific 3D cut, the Arcadia has pre bent arms and carefully thought out seam placement to ensure a comfortable and unrestrictive fit while paddling. A twin waist system with drawcord adjustable outer tube helps minimise water seeping between you and a spray deck while the comfortable and durable Exoskin neoprene wrist seals prevent annoying drips running down your arms. An offset quarter zip collar can be used to help regulate your temperature and kept out of your face with the handy tie back stud or if conditions demand zipped right up to your chin, when the laser cut 'breather' holes come into play to help prevent moisture building up. A volume adjustable zip off hood zip adds another level of protection and comfort. The Arcadia also has a handy 'kangeroo' front zipped pocket and fleeced lined hand warmer pocket and useful reflective detailing.